How to Write a Query Letter – This section of our website about query letters includes a FREE 15-part guide on writing a Query Letter. This guide was created by Mark Malatesta, a former literary agent and Marketing & Licensing Manager for a well-known book publisher. For your convenience we’ve posted short summaries for each section in our guidelines about how to write agent queries. That way you can find exactly what you’re looking for, fast and easy. Scroll below now to discover everything you want to know about writing an agent query. These guidelines include everything you want to know about how to write a query letter. For example: What is a query letter? What is the best query length? What’s the most popular query format? Is there a sample query, query example, or query template you can model? What is a query hook and what is the best one to use? What is a SASE for query letters? What is the best email format for query letters? Where can you get help writing your book query? And more. What is an agent query? An agent query is simply a “pitch letter” that writers submit to literary agents, book publishers, and/or magazine editors. This article called What Is a Query Letter? explains. It’s part two of our free 15-part training guidelines about how to write a query letter. Did you know that many authors, literary agents, and other publishing professionals give bad advice about how to write agent queries? Of course, they don’t do it on purpose, but you need to be aware of this so you don’t follow their bad advice. 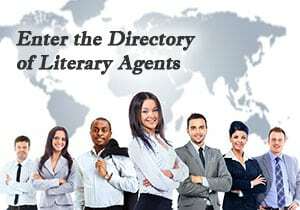 This article called Literary Agent Query Letter Warning explains. It’s part three of our free 15-part training guidelines about how to write a query letter. Where can you find the best examples of query letters to help you write your agent query? This article called Query Letter Examples shares an example query letter, and it shows you where to learn more. This article is part four of our free 15-part training guidelines about how to write a successful query letter. What’s the best way to create a query that helps you stand out from the crowd–the thousands of other agent queries written by other authors trying to get book agents every month. This article called Writing a Query Letter explains. It’s part five of our free 15-part training guidelines about writing irresistible agent queries. What’s the best template to use when writing a agent query? What’s the best structure to use? And what order should you put everything in? This article called Query Letter Template explains. It’s part six of our free 15-part training guidelines about how to write a query letter. Where can you find a sample successful query letter that you can learn from and model–so you can get a top literary agent, publisher, and book deal? This article called Sample Query Letter explains. It’s part seven of our free 15-part training guidelines about crafting agent queries that work. What’s the difference between a book synopsis and a query letter, and how should you use the two things together so they complement each other? This article called Query Letter vs Synopsis explains. It’s part eight of our free 15-part training guidelines about how to write a great query letter. How long should your agent query be? One page? Two pages? More? This article called Query Letter Length explains. It’s part nine of our free 15-part training guidelines about how to write irresistible agent queries. What is an agent query hook–and what are the best query letter hooks from query letters that worked? This article called Query Letter Hook explains. It’s part ten of our free 15-part training guidelines about how to write successful agent queries. What are the different ways you can format your query. And, what’s the best way to format your query? This article called Query Letter Format explains. It’s part eleven of our free 15-part training guidelines about how to write the best agent queries. What is a SASE? And what do you need to know about using a SASE when querying book agents? This article called What Is a SASE for a Query Letter? explains. It’s part twelve of our free 15-part training guidelines about how to write query letters. Are there different ways to format an email query? What is the best email query format? And do all book agents want email queries formatted the same way? This article called Email Query Letter Format explains. 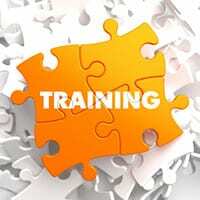 It’s part thirteen of our free 15-part training guidelines about writing query letters. What guidelines do you need to follow when submitting your query to literary agents using an online submission form? This article called Agent Query Letter Advice for Online Queries explains. It’s part fourteen of our free 15-part training guidelines about writing agent queries. What is a query critique? What does it involve? And where can you get one? This article called Query Letter Critique explains. It’s part fifteen of our free 15-part training guidelines about how to write a query letter.